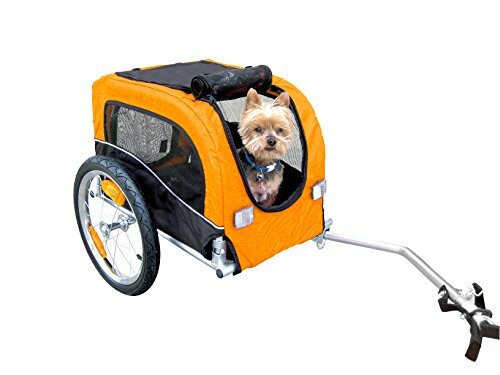 Image yourself being able to go on an extended bike ride with your dogs. 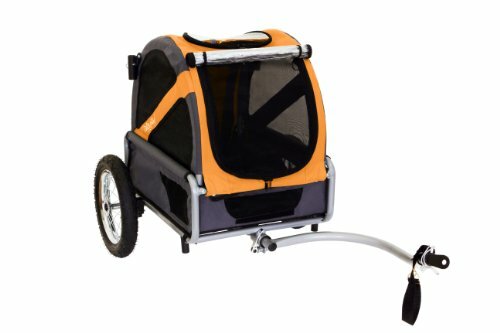 With a dog bike carrier, you don’t have to worry about your dog keeping up on a bicycle leash. 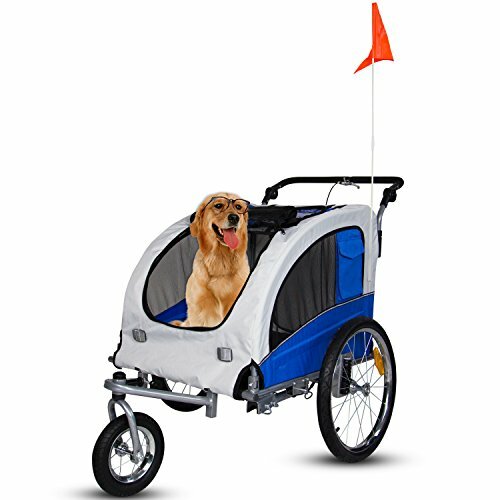 Dogs can never be expected to be able to go as fast and far as you can when on a bike so finding a way for them to ride along in comfort and style can make for more extended adventures. Taking your dog on a bike ride can be a lot of fun. 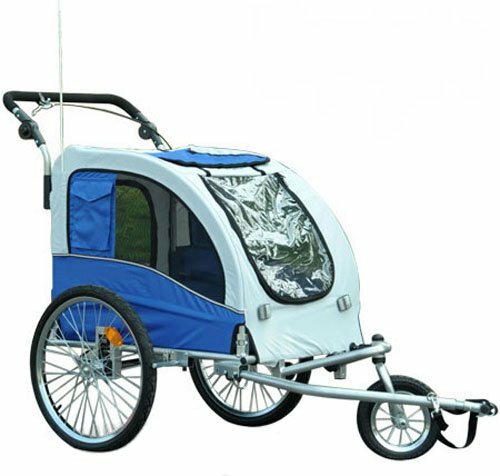 There are a lot of different carriers out there that can be towed behind a standard-sized adult bicycle. 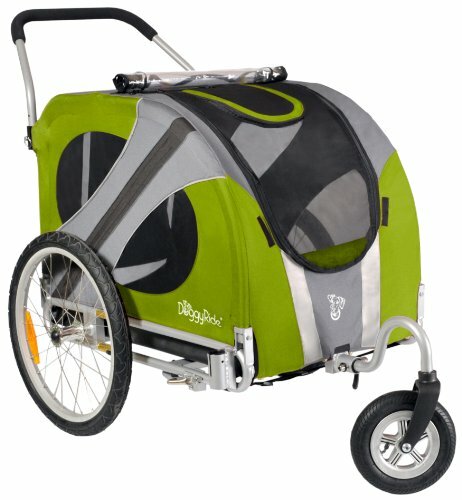 Getting a carrier for your pooch is not as simple as just ordering the first one you see. Before you buy any pet carrier, you need to consider a lot of different factors. Dog carriers come in many sizes as you would expect. It is important to be realistic about how large of a carrier your bike and you can handle. It is best to get the smallest size that is still comfortable for your dog if you are concerned about how heavy of a load you will have. There are times in a dog’s life when keeping up can be hard or not safe for them to try. A carrier is safe to use in more high traffic areas. Puppies are too small to keep up and have to have a chance to learn to be careful in traffic and social situations. Senior dogs may very much enjoy a trip out or spending time with you but cycling on a leash beside you may be far too much on their hips and joints. If you plan on using your carrier a lot then you want to make sure that you get one that can hold up to daily use. The type of wheels and suspension matter as well because not everyone is always going to want to stay on pavement. Here are a few pet carriers that are a good combination of durability and cost. 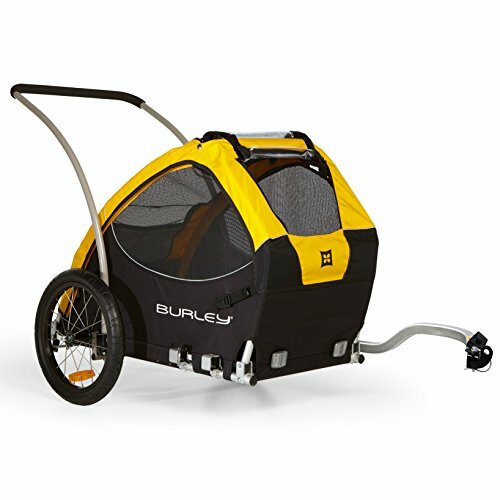 This carrier is made of strong steel tubing and will hold up to 85 lbs of pooch. The entire cart folds flat for easy storage and transport to your favorite location. Dog carriers allow injured dogs to enjoy the great outdoors with you. What if your dog injures their leg and has to recover from a surgery? A carrier will allow your dog to lead a more fulfilling life. Long haired dogs can especially benefit from a carrier that allows shade. This also gives dogs a place to hang out if you are having a picnic or spending some time at the beach. Carriers really are multipurpose tool that you can use for a lot of activities. Some pet carriers are made with smoother tires than others. 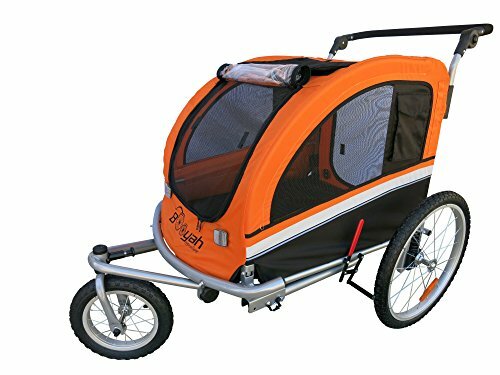 If you plan on going on rough surfaces such as gravel or more primitive trails then go for a carrier with massive tires and better suspension. If you get a carrier that lacks the beefiness you need you will be very disappointed. A runaway dog carrier could cause injuries (or worse) to your dog or others. Check that it is hitched up right before embarking. 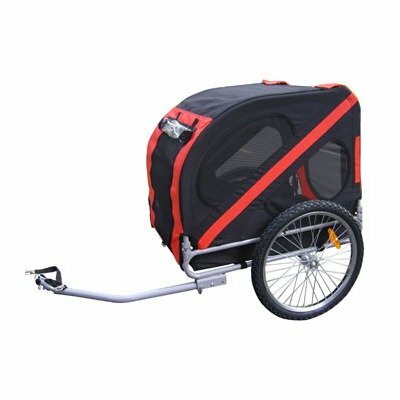 A dog bicycle carrier has moving parts and regardless of which carrier you have chosen, there will be some wear and tear over time. Good maintenance will help ensure that your carrier is safe to use. Regardless of weight limits, get the size that allows room for your dog to be comfortable. Dogs need room so that they are not smashed into a small space. Carefully look at the total interior measurements of any bike carrier before ordering. You may also want to check out the measurements of your dog and then compare before purchasing. It can be hard to return a cart that your dog has got dirty and some places may not have a good return policy. 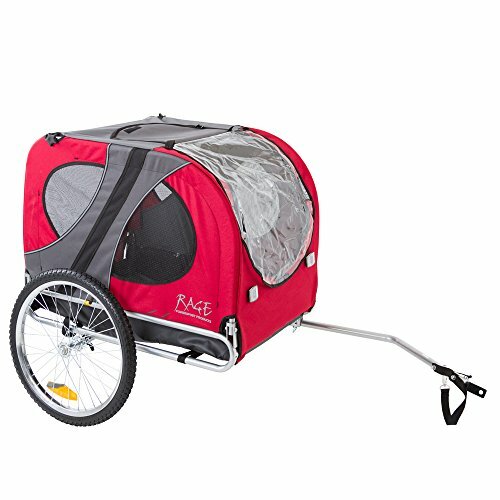 Dog carriers have a weight rating for a reason. While you might get away with it a few times, putting more weight in the carrier than what it was designed to carry will significantly decrease the lifespan. Remember to check your tires out occasionally. Defective tires or a flat can put a damper on your riding time and you don’t want to feel like you have to pedal back on a flat. Some tires can become damaged if they are used with a flat tire for awhile. feel differently than riding in the family car.